The market for Sandals, Textile and Other Footwear includes town footwear made of textile, plastic uppers, rubber boots, flip flops and wooden clogs. The worldwide revenue of US$112 billion in 2017 is expected to increase to US$130 billion by 2021. In this report, we consider one segment of the constantly growing Footwear market. The market for Sandals, Textile and Other Footwear comprises models that are neither made of leather nor can they be assigned to athletic footwear. From an international perspective, most revenue is generated in Europe, with US$35.5 billion in 2017. 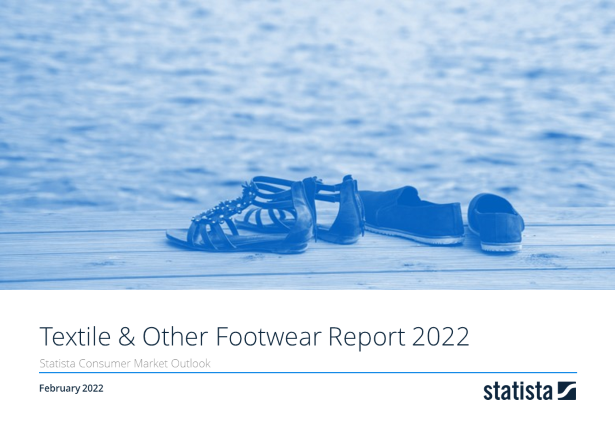 This report from the series of Consumer Market Outlook segment reports gives an overview of the Other Footwear market from an international perspective. For more information on the topic, visit Consumer Market Outlook/Other Footwear.